Based on the song cycle, Friday Afternoons by Benjamin Britten, A Song for Haddo is the exciting culmination of this year’s outreach programme at the Haddo Arts Festivalin conjunction with Music Co-OPERAtive Scotland (McOpera Outreach) and Snape Maltings. 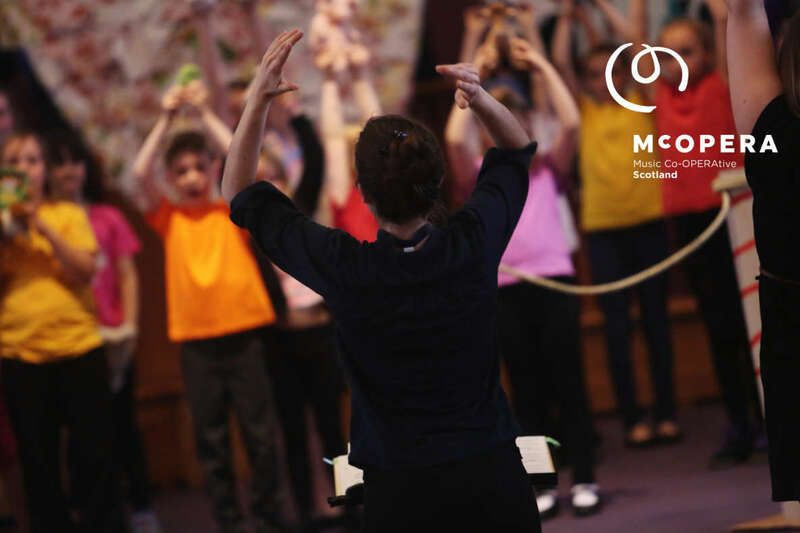 Moira Morrison, our McOpera composer and vocal animateur, is currently working with over 120 primary school pupils and their teachers from Aberdeenshire using Kodaly-inspired vocal techniques to prepare for the performance on October 12th 2017. As well as the learning and performing of six of Benjamin Britten’s Friday Afternoon songs the project also includes the commission of a new song – ‘A Song for Haddo’. The song will be composed by Moira Morrison with input and ideas from the children Moira worked with in the six Aberdeenshire schools. The children are performing the premier of this new song in the final concert accompanied by a string ensemble, formed of local high school string students mentored by our professional McOpera musicians, and led by Katie Hull. Our new string ensemble will also accompany the young voices in a new orchestration of Britten’s songs by Peter Kemp.